When I'm trying to set up a new planner, or i just have lots of ideas for changing my current setup, I find it best to get all those thoughts running around in my head out onto paper. I really like using a mind map for this. I just draw a bubble of the main idea in the middle of the page and let the ideas flow. 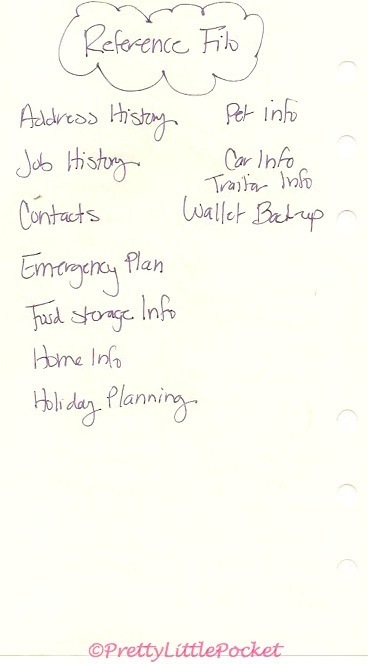 Usually categories of ideas will present themselves, and these end up being my new sections or tabs in my planner. From there I can also get a sense of what types of paper or accessories I'll need, and even the size of binder that would work best. 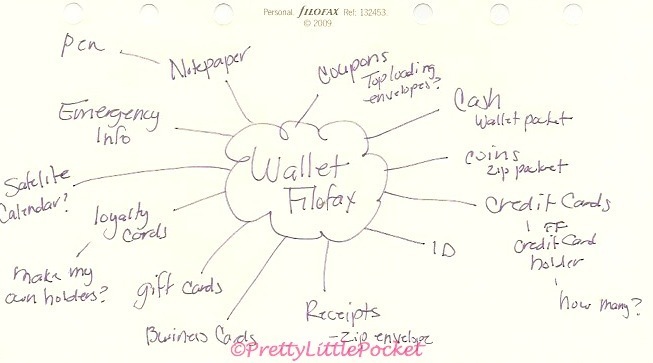 If there are just too many categories, or one category that has a lot of ideas or subcategories, I know I'll need to break this out into a separate binder (yeah, a reason I need another Filofax!). 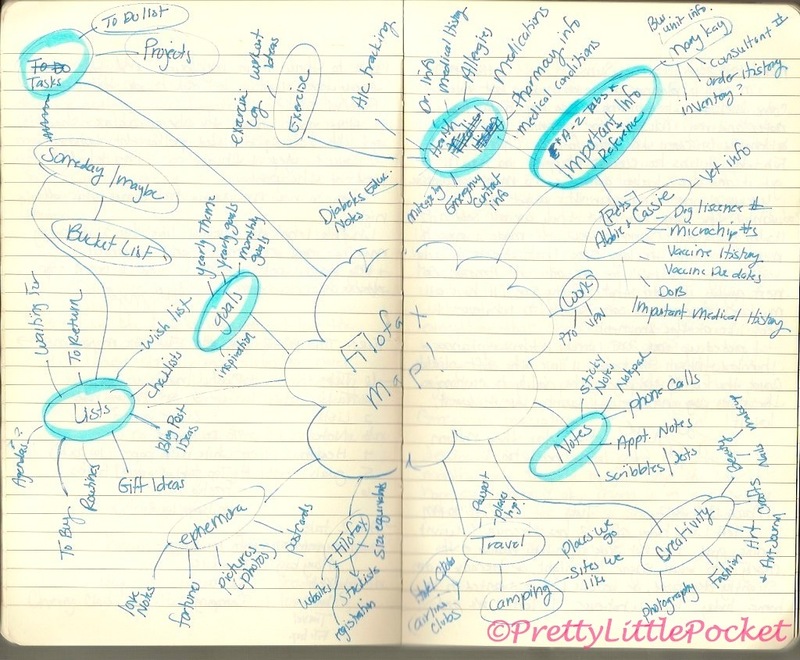 Here are some examples of Filofax setup Mind Maps I've done in the past. This same concept works well for project planning too! 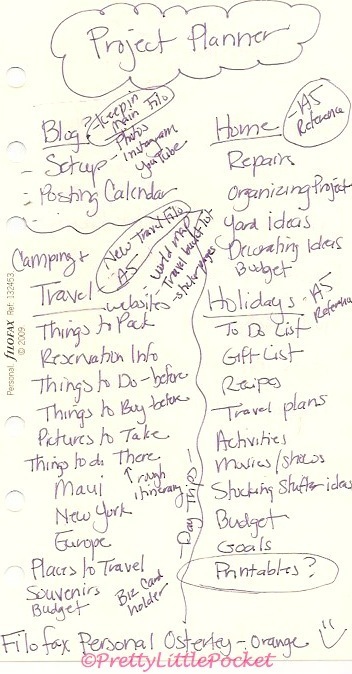 Have you ever used Mind Mapping to set up a new planner or binder? Oh yes! 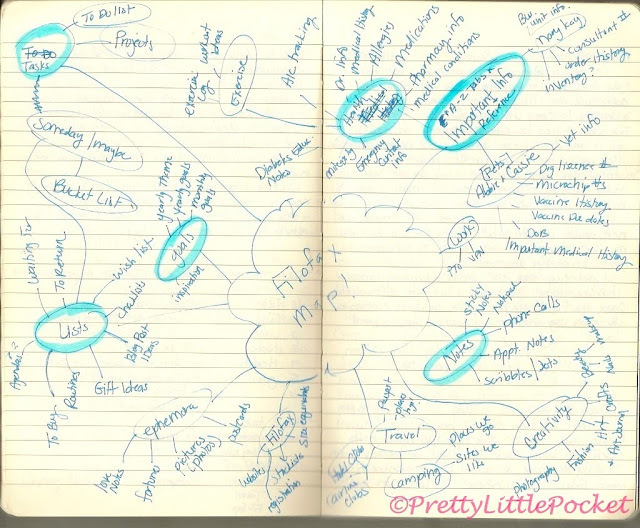 I use mindmapping all the time. It's a great way to organize your thoughts. Thanks for commenting! 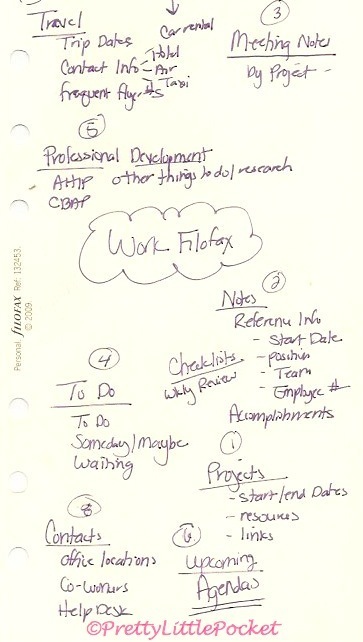 Have you checked my blog post on Filofax Mapping using a Spiraldex? Yes, I really enjoyed that blog post (and video), great idea! Great idea. I never thought of doing that. I'm glad you like the idea. I've gotten plenty of good ideas from your blog! Oh yes I love mind mapping! I still have a classic size insert on mind mapping published by FC back in the early 90s I think. I refer to it often. This was a great post!